Growing up in Utah, Benjamin Shaffer always knew he wanted to help people. From an early age, he was regularly involved in community activities and outreach programs that allowed him to not only serve those in need, but connect with others on a personal level. As he got older, his experiences led him to develop a sense of fear and mistrust in the law, as he witnessed first hand the number of people that were left without help and support in their own community. When Benjamin prepared for college, he decided that getting a degree in history and political science could provide him with the background he would need to effect change in the local level in his own community. After graduating from Southern Utah University in 2005, Benjamin began to switch his focus over to the law profession, believing that it might afford him the opportunity to help people who may not be in a position to help themselves. After seeking some counsel from a mentor and friend, Benjamin decided to apply to law school and begin to forge a career path toward practicing law. He was quickly accepted into the James E. Rogers School of Law at the University of Arizona, a decision that would require him to leave his home state to further his education and accomplish his goals. I’ve always believed that helping the members of my community was a personal calling — and I’m proud to answer that call for the residents of Utah County. After years of hard work and dedication, Benjamin received his Juris Doctor in 2014 and set out to begin work as an attorney. Despite being prepared to help clients in areas of family and business law, Benjamin took a shine to estate planning — and area that allowed him to help families prepare for the future. He always enjoyed the problem-solving aspect of estate planning and was able to gain a sense of pride in helping families prepare for the future and ensure that every last detail could be taken care of. Eventually, Benjamin returned to his home state in 2016 where he would join his former mentor and friend Drew Briney to form Shaffer Briney Law. Together, the two hoped to establish a firm that could not only give back to the community, but could also set an example as a firm that could deliver personalized service to clients in an effort to help them face any legal challenge. Whether it's matters of family law, business law, or estate planning, Benjamin is committed to being there for his clients in their time of need by providing the best in legal counsel and representation, regardless of the circumstances a client might be in. 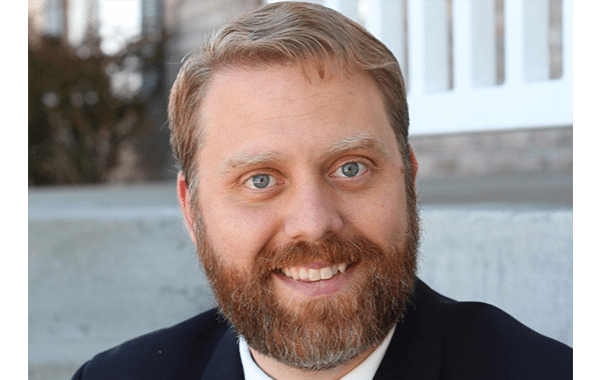 He believes that treating everyone with respect and dignity is the only way to successfully solve a legal issue, and he's proud to provide his services to the residents of Utah County and the surrounding communities.